First, go to the App Center in your Settings area. 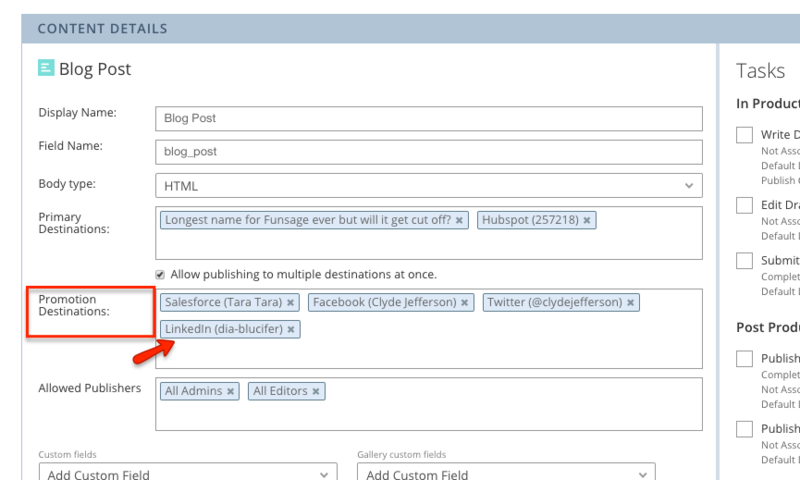 Select your Kapost Instance then click Install. Kapost will integrate with whichever LinkedIn instance you are currently on, so it is best to make sure you are logged into whichever account you would like to use. 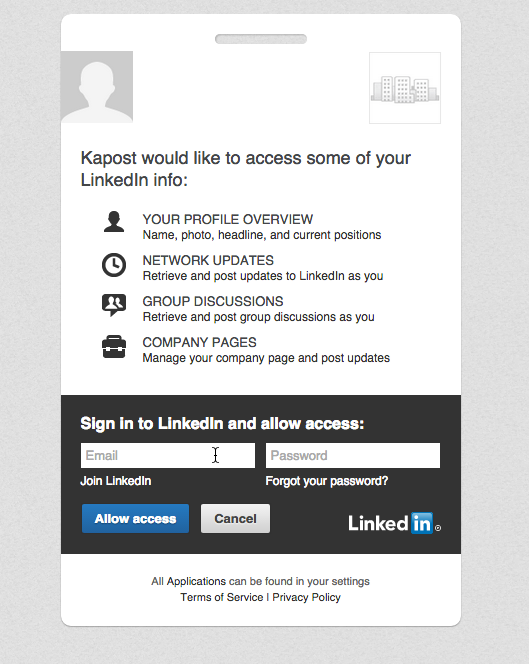 If you are not logged into any LinkedIn account, you will be prompted to log in and give Kapost permission to access your account. One you fill out the correct username and passwords associated with your account, you will be integrated with LinkedIn in Kapost. Kapost allows the user to hook up their personal account as well as any company accounts the user has access to. You can also hook up any showcase accounts the user has access to via the same method. 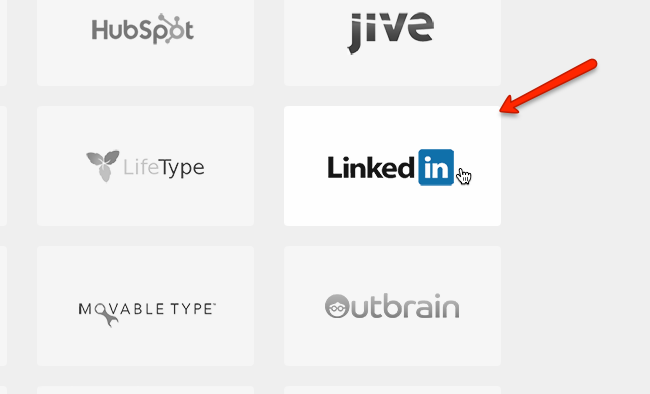 To finish the integration, LinkedIn must be added as a primary destination to your LinkedIn content type if you are planning on publishing posts directly to LinkedIn. 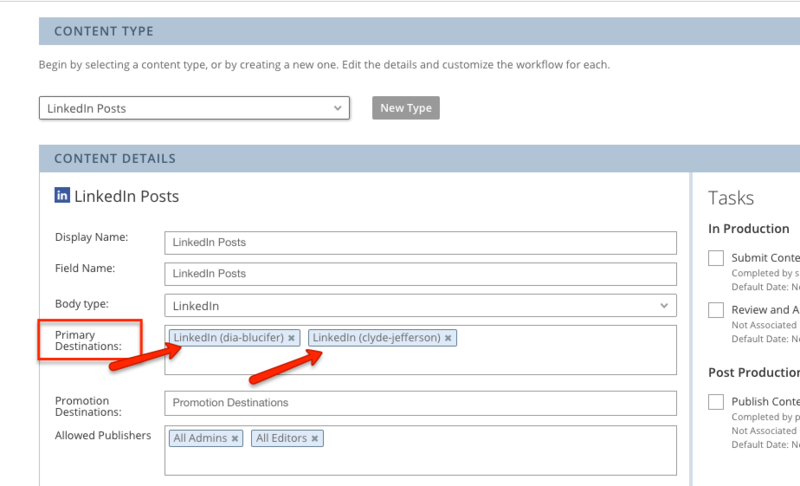 To do this, go to that content type in Settings -> Content Types and Workflows, and add LinkedIn in the Primary Destinations field. If you wish to promote blog posts or other forms of content to LinkedIn, hook it up as a Promotion Destination on any content type you would like to promote to LinkedIn. You can only publish images with your LinkedIn post through "image scraping." Image scraping works by pulling images from any link you add to a post. The link in your LinkedIn post must point to some sort of HTML content like a blog post or web page. It is not possible to scrape images from a PDF. While setting up your Linkedin Integration in the App Center, be sure to choose a setting that will either allow or forbid Linkedin from using the title made in Kapost if media is attached to the post. If you choose 'Yes', it will ignore that internal title that you created. If you choose 'No', it will include the internal title on the post. Note: if there is no media attached the title is not used in the Linkedin post. Due to limitations of LinkedIn's publishing API we cannot push custom images (or any kind of attachment) from Kapost to LinkedIn. In addition, LinkedIn does not allow users to edit posts after they have been published. If you wish to learn more about targeting specific audiences with LinkedIn, read this article.